Welcome to Cannas Australia. 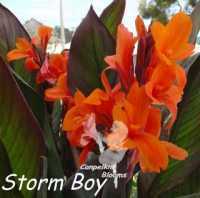 Cannas Australia is now an Informational and research site covering cannas grown, bred and found throughout Australia with a small selection of cannas for sale to Australian gardeners. Growing these tropical plants I have really enjoyed as they just flower for so long here in Victoria, my canna collection has grown and includes old heritage and hybrid canna plants such as the old Yellow King Humbert Cannas to some new garden plants like Canna Vestarae to the dwarf short growing spotted cultivar with the appropriate name of Spotted Delight. 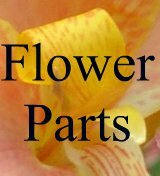 Looking for a particular canna or flower color? Use the search box below to find it fast on Cannas Australia. One of the oldest cannas was raised in 1848 it is called Annei this was the first canna to be hybridized, Annei is a hybrid from the species Glauca and I’m glad to have them both growing in my garden. 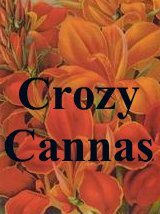 Some other heirloom types that were popular in their day were the plants raised and known as the Antoine Crozy Cannas. 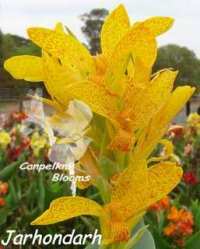 Often these summer flowering plants are found for sale under the name cannas x generalis. 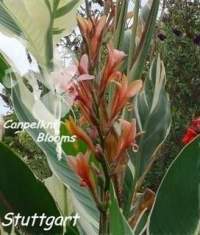 Sometimes they are also called canna lilies, these heritage plants can still be found growing in old gardens, some are also suitable as pond plants, yet these exotic plants also take the dry and are tough water wise plants and have stood the test of time here in Victoria and abroad. As tough as these plants are they dont flower in winter. Canna plants are long time growing perennials that flower throughout the year in areas that dont get frost damage in winter. These are some of my picture scans from old vintage gardening catalogues and magazine that I've collected over the years, the old canna lilly flowers are colored so beautiful. 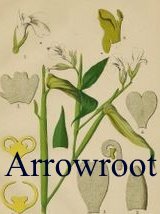 Species such as canna Warscewiczii and Iridiflora are a few of the original old types. 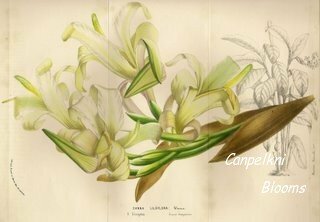 Here is a scanned picture I brought of a hand finished litho of species Liliiflora it was published around the 1860s. When growing cannas you too will find they have beautiful flowers and foliage and they come in a wide range of colors including green, purple toned, bronzed and some have variegated foliage like the white leaves seen on the spectacular Stuttgart pictured below. They really do offer something for everyone’s palette as there are many types to choose from. 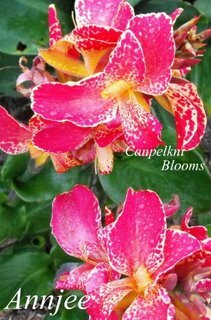 These are easy to grow perennial plants learn about planting them so you can enjoy the colors of some canna flowers in your garden. 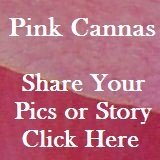 I hope you enjoy browsing my canna site and find some useful information to take away with you. Exotic plants with variegated foliage are the Cannas with colourful striped bright leaves. Description and pictures of these colourful garden plants. Some of the smallest canna plants that have been posted to me over the years, pictures of some tiny plants I have bought, see how little they were. 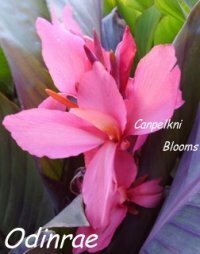 The Cannas Blog keeps you up to date with all additions including some new garden finds and changes to the cannas-australia.com Web site. Keep informed. Subscribe here. 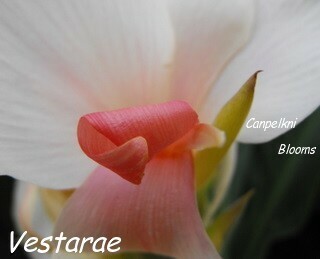 Different varieties of cannas with orange flowers. Coloured and shaded in different types of orange bi coloured and border trimmed cannas. Growing the Australia Cole Cannas. Colours of these exotic plants. Old Cole Aussie hybrid gardening plants. Most Cole cultivars have green leaves. 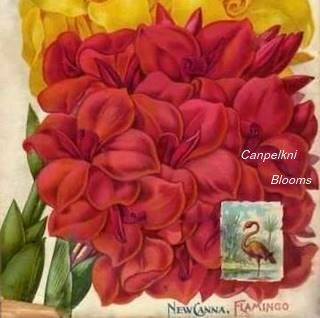 As sold in 1896 Canna Flamingo. 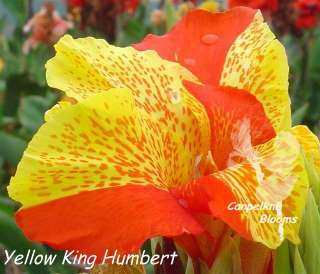 Solid crimson without a spot or blemish, has the true Gladiolus form found in no other cannas.